Hmm... Was really tempted to see the Bassnectar / Major Lazer show at the HOB this night, but opted for the free show at the Spot. 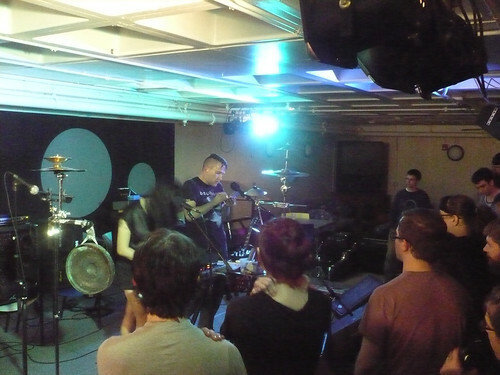 I was walking into this show pretty blind to who Xiu Xiu was, and what they (he) sounded like. I'd been seeing his name around the blogosphere (this term still cracks me up), and figured what the hell. Not quite what I was expecting. He was much darker... sort of clangy and chaotic. But some of the people there were *really* into it, singing every word. Not my thing, but that's what it's all about.